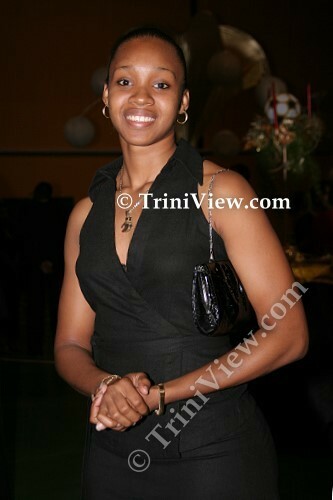 Undefeated Trinidad and Tobago boxing champion, Giselle Salandy, died following a vehicular accident on the Beetham Highway, on the outskirts of Port of Spain, this morning, January 4th 2009. The 21 year old boxing sensation succumbed to her injuries at the Port of Spain General Hospital around 8.29 a.m. Reports state that Salandy was driving west into Port of Spain a little before 7 a.m. when she crashed into a concrete pillar upon reaching the National Petroleum (N.P.) overpass just before the Bhagwansingh turnoff. Miss Salandy and other occupant of the Toyota Yaris, national female footballer Tamar Watson were injured and both were rushed to hospital. Most recent reports indicate that Watson suffered two broken legs and is in a critical condition. The long-awaited political agreement in Zimbabwe is to be welcomed. After years of political impasse and economic instability, there is a potential for a new start. But an informed debate on the future is needed and a focus on land and the agricultural sector must be central to these discussions. The new government will be offered advice from all quarters – consultants from around the world will arrive by the plane load, and the donor community and foreign think-tanks of all persuasions will forward their preferred plans and programmes. Published on January 4, 2009 in General T&T, International and Religion. 29 Comments Tags: Jews, Raffique Shah, Zionists. SOME 40 years or so ago, in the heady days of Black Power and the global fight for basic human and civil rights by non-Whites, I saw all White people as oppressors. I was a young firebrand, who, in the universal spirit of my revolutionary hero Cuban Che Guevara, was ready to fight against injustices wherever they existed. I actually lived out part of my utopian dream by taking up arms against “the establishment”, a feat many of my contemporaries also dreamed of, but never experienced.